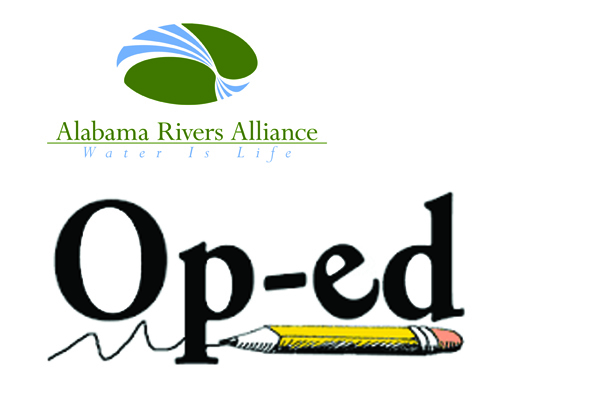 Alabama Rivers Alliance > Newsroom > Newsroom > Policy Updates on Coal Ash, the Clean Water Act, Water Resources Development Act, Relicensing of the Harris Dam, and more! Hurricane Florence was violent and dangerous as a storm. In addition to the flooding and destruction, the hurricane brought another ecological threat: coal ash contamination. Coal ash is the toxic, carcinogenic residue left over after burning coal at power plants. Power companies like Duke Energy in North Carolina have accumulated millions of tons of the ash, almost always placing it near rivers and major water ways. In the past decade, there has been significant outcry over coal ash after dangerous spills and surface and ground water contamination. Hurricane Florence compounded these worries when its devastation caused a large spill—over 2,000 cubic yards—putting local communities at risk. 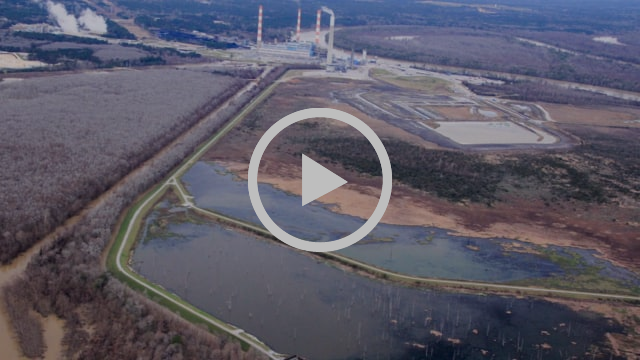 Alabama has more than 20 active and inactive surface pits and landfills that store coal ash. There are well over 100 million cubic yards of ash in the state of Alabama alone. These sites are all across the state, and most are unlined ponds sitting directly adjacent to rivers, streams, or drinking water intakes. Earlier this year, the Alabama Department of Environmental Management found that all six of the active sites were responsible for contaminating local water resources. On October 18, 1972, the Clean Water Act was created. The landmark legislation committed to eliminating all pollution into navigable waters by 1985. Spurred on by new environmental organizations and millions of Americans who wanted safer water, Congress passed the Clean Water Act to protect rivers, drinking water, and aquatic wildlife species. Now, 46 years to the day later, our waters still face serious threats and which waters are covered by the Clean Water Act is still a matter of controversy. For the past year, there have been several attempts to repeal and replace the 2015 Clean Water Rule—in Congress, federal court cases, and the Environmental Protection Agency. 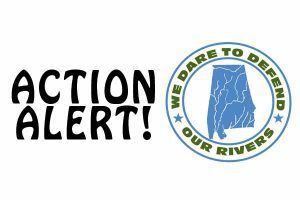 The current administration is in the process of suspending, repealing, and replacing the rule that protects drinking water for 117 million Americans, including millions of Alabamians. Amidst multiple delays and failed attempts to overturn the Clean Water Rule, the EPA recently released a “regulatory agenda” stating that it plans to publish a replacement rule in the next month. This rule will redefine which bodies of water will receive protection under the Clean Water Act. So far, Americans have filed millions of comments in support of clean drinking water and robust protections. When the rule is published, the public will once again get that opportunity. To learn more about the Clean Water Rule and to show support for safe drinking water, please click here. In mid-October, Congress passed the America’s Water Infrastructure Act. The federal bill received near unanimous support by both parties. National environmental groups, manufacturers, and local water providers have all endorsed the bill as being a positive step towards clean and reliable water. WRDA, one of the key components of the Infrastructure Act, will fund more than $3 billion worth of water infrastructure improvements. Across the country, communities are suffering from poor water infrastructure, including drinking water pipes, water treatment facilities, waste water sewer lines, and flood control. This recent infrastructure funding bill will help alleviate some of those issues by providing money to federal agencies, states, and local communities. On October 1st, the Federal Energy Regulatory Commission accepted comments on the relicensing of the R.L. Harris Hydroelectric Project. Harris Dam generates electricity by damming the Tallapoosa River near Lineville, Alabama. Hydroelectric dams like Harris are regulated by FERC, which also requires the dam operators to obtain licenses that govern generation and use. Relicensing is a great opportunity to examine what is and isn’t working regarding dam operations; specifically, the hope is that dam operators will make changes that improve the environment and protect the wildlife species. As federal projects, all hydro facilities must conform to federal environmental laws like the National Environmental Policy Act and the Endangered Species Act. “While there have been some benefits [in recent years], invertebrate and fish species still suffer from flow and temperature variations in regulated downstream areas.” To see the full comments, click here. 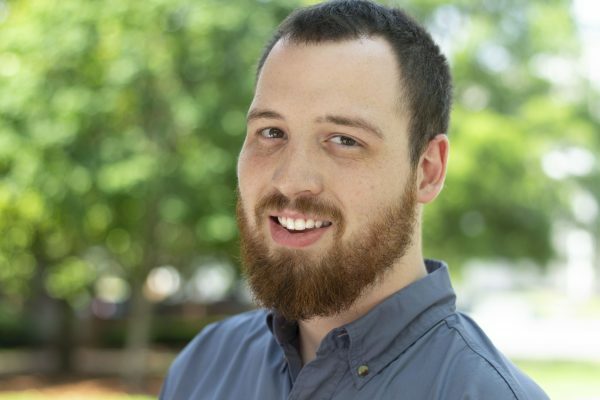 The relicensing process is far from over, as FERC, Alabama Power, state agencies, nonprofits, and community members will work to create a new license. The final decision will likely not be made until at least 2021.